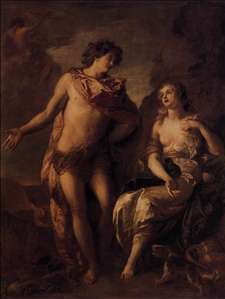 de La Fosse also spelled Delafosse, painter whose decorative historical and allegorical murals, while continuing a variant of the stately French Baroque manner of the 17th century, began to develop a lighter, more brightly coloured style that presaged the Rococo painting of the 18th century. 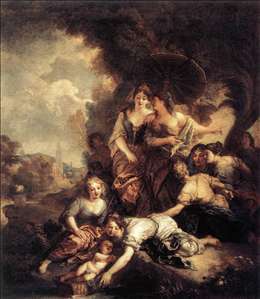 The greatest influence on La Fosse s painting was the work of his teacher, Charles Le Brun, the dictator of artistic matters in France during the reign of King Louis XIV. La Fosse was also impressed with the works of the 16th-century Italians Francesco Primaticcio (whose visible work was all in France), Titian, and Paolo Veronese, which he studied during his five-year stay in Rome and Venice (from 1658). In 1689-91 La Fosse decorated Montagu House in London. 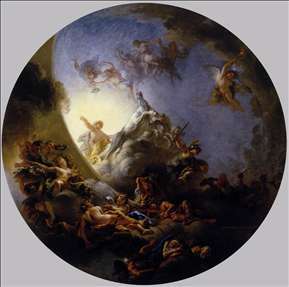 His greatest work was the decoration of the cupola of the Church of Les Invalides in Paris (1705), while the Sacrifice of Iphigenia in the Salon de Diane of Versailles and the Sunrise in the Salon d Apollon are his most important works in the style of Charles Le Brun. 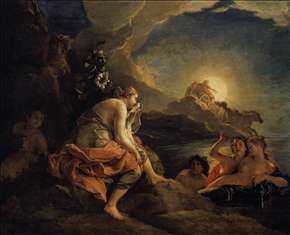 More significant to later artists, however, are his smaller works, such as The Finding of Moses (1675-80; Louvre, Paris), remarkable for their use of light and their fresh colour sense. He became a member of the Royal Academy in 1673 and was named chancellor in 1715. See more details about "Sunrise with the Chariot of Apollo"
See more details about "Clytie Transformed into a Sunflower"